Amid much festivity and fanfare, the ASEAN Day 2018 was celebrated in Dhaka on Wednesday. 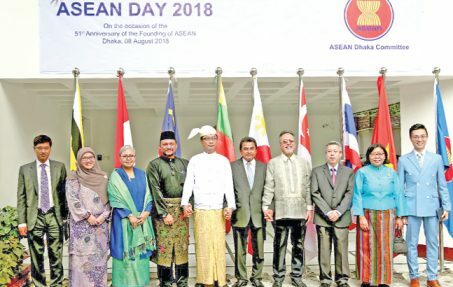 Marking the day in a befitting manner, the ASEAN Dhaka Committee (ADC) organised the ASEAN Flag Raising Ceremony at the chancery premises of Indonesia in the morning. As part of the celebrations, the ADC also held the ASEAN Food Festival at the event to treat the guests with mouth-watering dishes of the region. Minister for Planning AHM Mustafa Kamal, MP, graced the occasion as the chief guest. Masurai Masri, High Commissioner of Brunei Darussalam, Rina P. Soemarno, Ambassador of the Republic of Indonesia, Lwin Oo, Ambassador of the Republic of the Union of Myanmar, Vicente Vivencio T. Bandillo, Ambassador of the Republic of the Philippines, and Panpimon Suwannapongse, Ambassador of the Kingdom of Thailand attended the event. 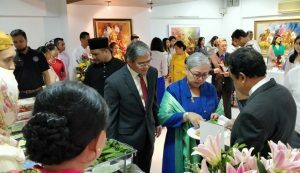 William Chik, Consul of the Republic of Singapore, Idham Zuhri Mohamed Yunus, Chargé d’ Affaires of the High Commission of Malaysia, and Tran Bao Son, Chargé d’ Affaires of the Socialist Republic of Viet Nam were also present on the occasion. Ambassadors, high commissioners and diplomats, foreign ministry officers, businesses and members of media also joined the celebrations, among others. In his speech, the ADC Chairperson, Lwin Oo, Ambassador of the Republic of the Union of Myanmar highlighted the importance of the ASEAN Committees in third countries in supporting the ASEAN Community Vision 2025. He also reiterated the recognition of Bangladesh as a close friend that ASEAN can and will continue to constructively engage with in many dimensions. 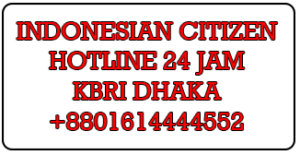 He also emphasized the need for increasing government to government, business to business and people-to-people contacts between ASEAN and Bangladesh. The guests also had the opportunity to appreciate delicious cuisines from eight ASEAN countries at the food festival. The delicious foods served at the festival included Chicken Rendang, Nasi Bakar, Nasi Lemak, Vermicelli Soup, Polvoron, Fried Mee Siam, Papaya Salad, and Fresh Spring Rolls to name a few.